I have included a picture as an attachment for visual help. Feel free to view it. 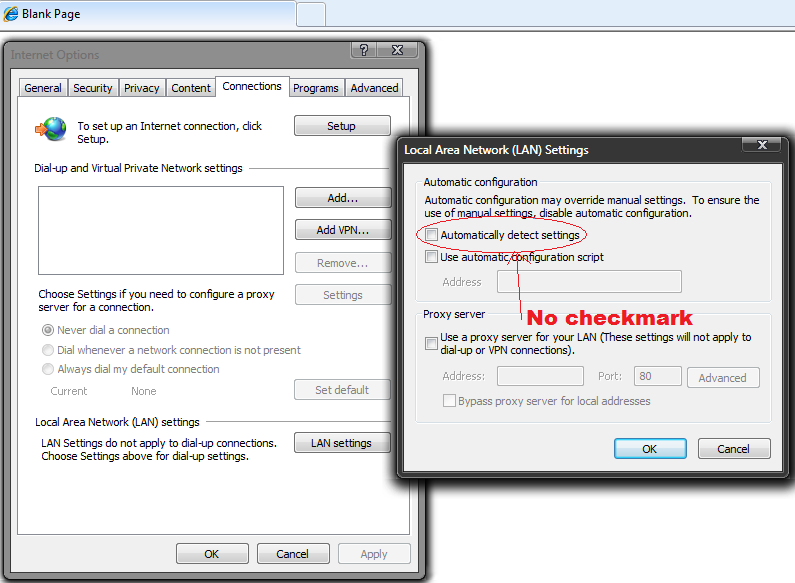 On the connections tab, please click LAN Settings at the bottom of the window. ^ Please make sure that box is unchecked. Then please click OK on both windows and restart your browser. Thanks I did that. Now I get a page that says server not found, when I try to connect to the internet. 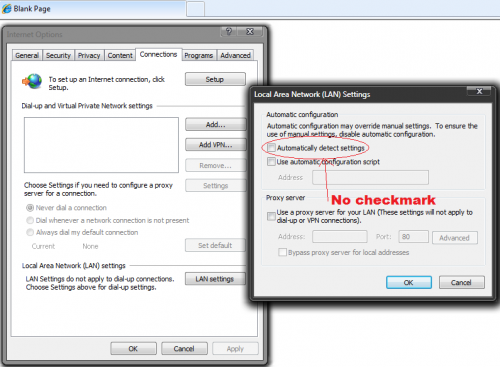 Have you checked your router settings to make sure they have matched up to the adapter?